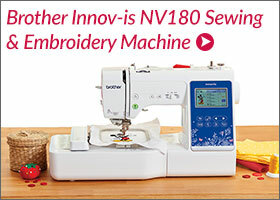 Echidna Sewing – Discover a fun new charity sewing or embroidery project each month! We’ve taken a simple Blue Print travel pillow sewing pattern and made it unique by styling it with some cute embroidered eyes and finishing it with a gathered ruffle edge. 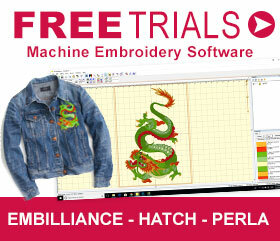 Not only is this project pattern free when you sign up to Blue Print, it’s perfect for beginner sewers/embroiderers who are starting on their journey. These Echidna Travel Pillows come with an embroiderable carry bag and is complete with two microfibre pillow slips which can be easily personalised. Or if you’re interested in creating your own pillowcase you can follow the tutorial below. These are now available online for only $39.95. Need some decorations for your Australia Day celebrations? Create the ultimate Australia Day with our Aussie inspired ScanNCut decorative bunting. Perfect to hang around the house, pool or camping tent to capture a true Australian theme! 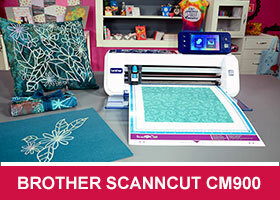 Easily create a decorative bunting using the Brother ScanNCut.